02 | February | 2019 | Hands Off Venezuela! DLI (2019-02-02). Corporate Media Abets U.S. Intervention in Venezuela. indybay.org After more than a year of hyping the so-called Russian meddling in U.S. politics(including dozens of articles screaming with sensational headlines followed by little more than mere allegations by US spy agencies), the mainstream corporate media has hypocritically switched to cheerleading the brazenly Imperialist bullying of Venezuela by Washington and its coalition of sycophantic Latin American regimes. Know History (2019-02-02). Trump's, Pompeo's, Bolton's, The CIA's and Pentagon's Heinous Violence Toward Venezuela. indybay.org Trump continues the illegal violence directed by the CIA and White House against Venezuela as the CIA has violated Cuba, Guatemala, Honduras, Chile, Dominican Republic, Nicaragua etc since 1947, as our government has violated S and Central America since they achieved independence from Spain. stuart_m (2019-02-01). Trump adviser John Bolton admits Venezuela coup is for oil. greenleft.org.au In an interview with Fox News, United States National Security Advisor John Bolton admitted the US government was backing an illegal coup in Venezuela in order to control the South American nation's sizeable oil reserves. | "It will make a big difference to the United States economically if we could have American oil companies invest in and produce the oil capabilities in Venezuela," Bolton told Fox News on January 28. | In response, Venezuelan foreign minister Jorge Arreaza tweeted: "Confession … @ AmbJohnBolton confirms that the COUP is about OIL. After more than a year of hyping the so-called Russian meddling in U.S. politics(including dozens of articles screaming with sensational headlines followed by little more than mere allegations by US spy agencies), the mainstream corporate media has hypocritically switched to cheerleading the brazenly Imperialist bullying of Venezuela by Washington and its coalition of sycophantic Latin American regimes. 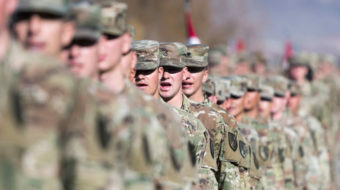 The European powers' support for a brazen US coup in Latin America underscores that they are no less ruthless in their assertion of their predatory imperialist interests. The responses from members of Congress painted a shocking picture of ignorance, hypocrisy, and bipartisan consent for the Trump administration's… | The post VIDEO: Max Blumenthal Asks Members of Congress if the US is Meddling in Venezuela appeared first on The Grayzone. Por Dan Cohen y Max Blumenthal Juan Guaidó es el producto de un proyecto de una década supervisado por los… | The post La creación de Juan Guaidó: cómo los laboratorios de cambio de régimen estadounidenses crearon al líder del golpe de estado en Venezuela appeared first on The Grayzone. For some months now, Venezuela's socialist government has lurched through a series of escalating crises — hyperinflation, mass protests, political violence — while both the government and its opposition have flirted with authoritarianism. | It isn't pretty — and to hear … | The post People Who Care About Democracy Don't Plot Coups Abroad appeared first on Global Research. Amid international pressures, U.S. military aircraft have been spotted over Colombia, local media outlets report. | For the second time in two days, several U.S. military planes were seen soaring over Colombia. The most recent sighting, reported by Aircraft Spots, is … | The post US Military Planes Soar over Colombia, Land in Bogota appeared first on Global Research. New Oil Sanctions on Venezuela: "Would Destroy What's Left of its Economy"
Lest anyone be tempted to believe that President Trump and other U.S. interventionists are intervening in Venezuela because of some purported concern for the Venezuelan people, let's start examining just a few examples that will bring a dose of reality … | The post The US Government's Love of Foreign Dictatorships appeared first on Global Research. Is it fair to call MAGA neocon lite, or possibly MAGAcons? | The fact so few of these establishment labeled "white nationalists" had nothing to say about Trump's illegal bombing of Syria, or the death toll from his war against ISIS, … | The post Trump and the "Make America Great Again" (MAGA) Crowd Embrace the Neocon Plan for Venezuela appeared first on Global Research. The latest bizarre episode in the Trump presidency is currently playing out in Venezuela. 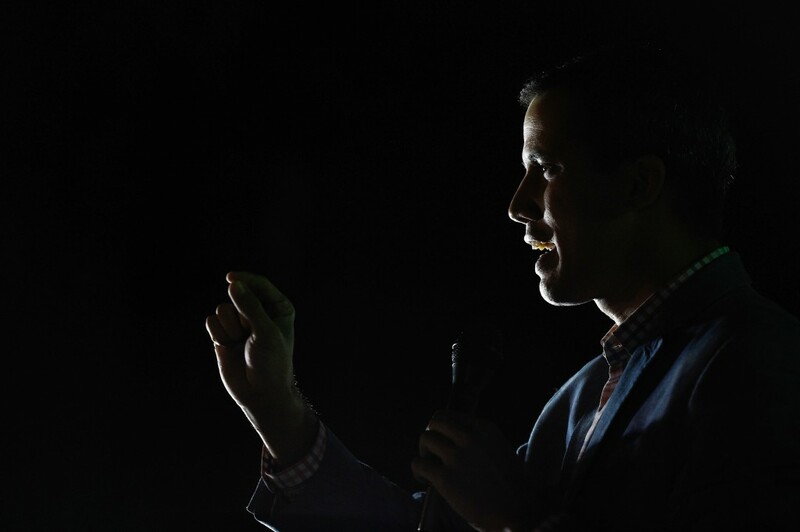 Just weeks after President Nicolás Maduro's inauguration, Trump officially recognized Juan Guaidó, the 35-year-old head of the National Assembly–a man who has never even … | The post The 'Venezuelan People' Are Whoever Agrees with Donald Trump appeared first on Global Research. On January 26, Canadians learned the extent to which Canada's "quiet diplomacy" had helped Venezuela's Juan Guaido emerge to declare himself interim president on Jan. 23, in defiance of the elected president Nicolas Maduro. In a lengthy piece for … | The post Canada vs. Venezuela: The Background Gets Even Murkier appeared first on Global Research. Since 2015 Venezuela has endured gruesome economic hardships. Inflation rates have spiraled out of control, and the public is facing a recession that is tearing the country apart. Now, Venezuelans not only face economic turmoil, but also direct military aggression. … | The post Dishonesty, Omissions and Lies in Reporting on the Venezuelan Economic Crisis appeared first on Global Research. Venezuelan President Nicolas Maduro called on the people in the US to deter the Trump administration from putting boots on the ground in Venezuela, warning that any intervention would backfire leading to new Vietnam-like disaster. | In his first direct message | … | The post Maduro to Americans: You Are Bigger than Trump, Don't Let Him Start A 'Vietnam' War Against Venezuela appeared first on Global Research. In an interview with Fox News, United States National Security Advisor John Bolton admitted the US government was backing an illegal coup in Venezuela in order to control the South American nation's sizeable oil reserves. | "It will make a big difference to the United States economically if we could have American oil companies invest in and produce the oil capabilities in Venezuela," Bolton told Fox News on January 28. | In response, Venezuelan foreign minister Jorge Arreaza tweeted: "Confession … @ AmbJohnBolton confirms that the COUP is about OIL. The announcement by President Trump, which recognises Juan Guaidó as the "legitimate President" of Venezuela, was prepared in an underground control room within the Congress and the White House. | This was described in detail by the New York Times. … | The post Video: Venezuela, a Golpe by the US Deep State appeared first on Global Research.